With each album she releases, Lana Del Rey not only goes through a musical transformation, but a style transformation as well. In the past, her looks tended towards a more brooding, edgy, music-festival-inspired aesthetic. However, it appears that with her latest single, “Love,” and its accompanying video, Lana is moving towards a lighter, more upbeat version of herself–something that I hope to see more of in the future as she releases more new music. Whatever direction she takes, however, Lana has never abandoned her love of retro fashion–something that is made very clear in the video for “Love”! If you haven’t already, take a look at the video below, and then keep scrolling to see the “Love”-inspired looks that I’ve put together. This outfit is inspired by the one that Lana wears throughout the video while performing. I love it because it has a great ’60s vibe that translates relatively easily into real life, making it perfect for your next semi-formal event. 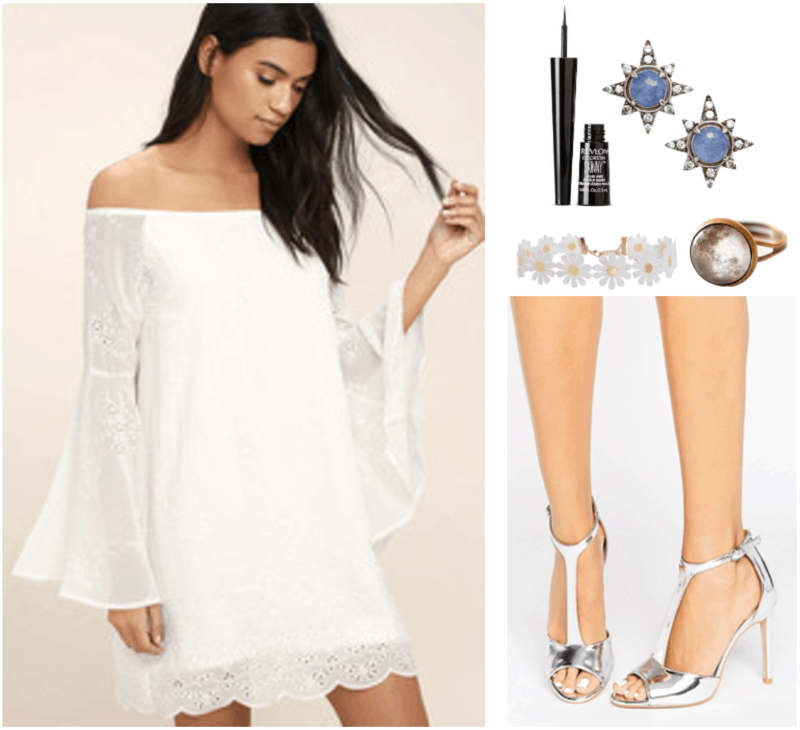 To keep things light and breezy, I have chosen an eyelet mini-dress that features an off-the-shoulder cut and bell sleeves — both of which continue to trend as we move from Winter into Spring. For accessories, I’ve swapped out the daisies that Lana wears in her hair for a chic crochet daisy choker–because, let’s face it, even though Lana’s flowers are beautiful, they just aren’t practical for real life. I have also included a pretty, bohemian moon ring and a gorgeous pair of star earrings that echo the video’s space theme. Unfortunately, I couldn’t find any sandals similar to the backless, ’60s-inspired ones that Lana wears in the video, but I think that these silver t-bar sandals are super cool as well, as they add a bit of a contemporary vibe to the outfit, merging elements of the past and the future — just like the video does. Lastly, if you’re feeling bold, I have included a super-skinny liquid eyeliner, so that you can re-create Lana’s graphic eye look for yourself; I love how it adds an element of sharpness to the video’s otherwise hazy, dreamy aesthetic. 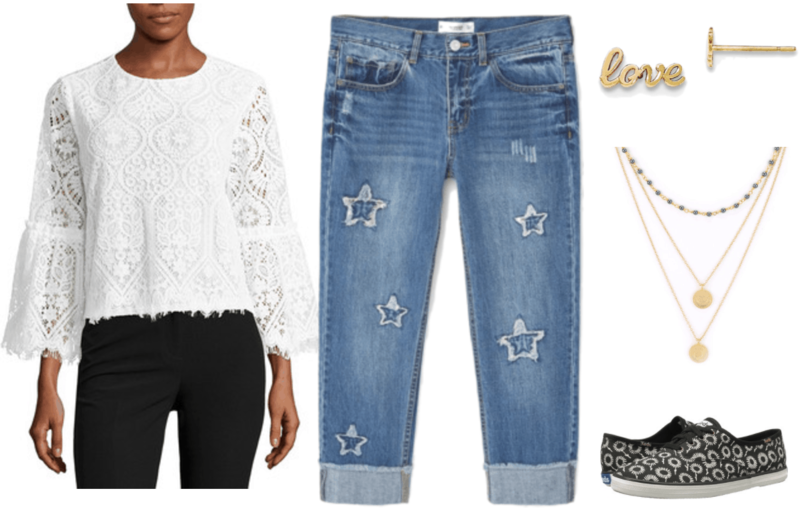 This chic casual look, which is inspired by the short-haired blond woman in the video, is a slightly quirkier take on the traditional denim-shorts-and-a-t-shirt look that is the Summer uniform of college students everywhere. Start by pairing denim cut-offs with a polo shirt; buy it in your usual size for a more modern take, or go up a few sizes for the vintage-inspired look seen in the video. Next, accessorize with a cute pair of car stud earrings that are reminiscent of the cars that we see throughout the video — not to mention the red one that, at one point, can be seen spinning towards the sun! Finally, put on a pair of clog sandals; these black ones are almost exactly the same as the ones that the woman wears in the video! However, if you’re a little shy about wearing clogs, or if you’re just not ready to spend $150 on a pair, then go for these criss-cross sandals instead. 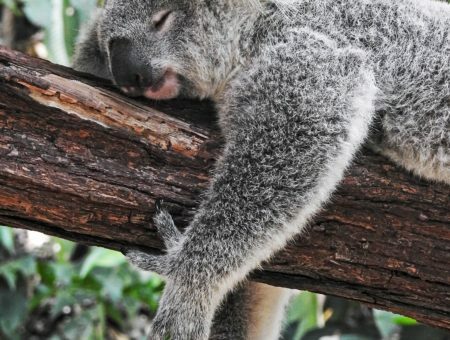 Not only are they a mere fraction of the price at $27, but they’ll also give you a similar look that isn’t quite as bold or as literally retro. Most of the fashion in the video for “Love” takes its inspiration from the 1960s; however, this look, which is inspired by the woman with the black bob, is taken straight from the 1990s! 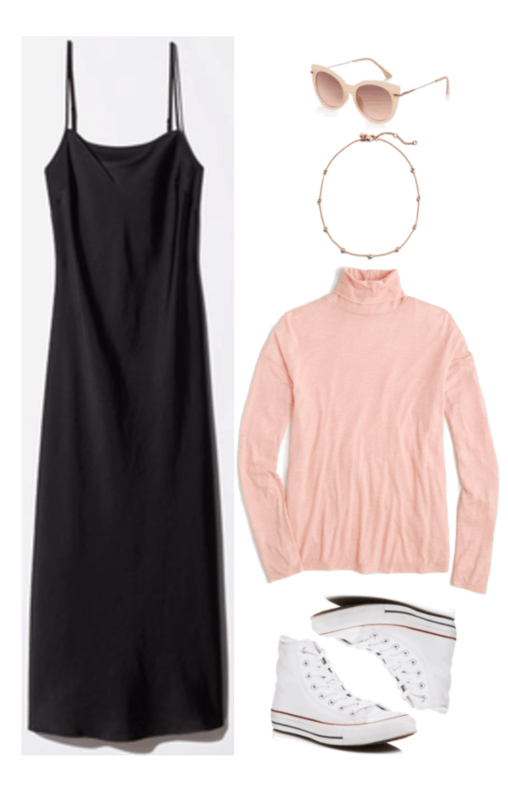 Although the woman in the video is seen wearing an off-the-shoulder-top underneath what appear to be black overalls, I decided to switch things up — and make the overall look easier to pull off — by layering a peach-colored turtleneck t-shirt underneath a long black slip dress instead, since the t-shirt-under-a-slip-dress look is one of my current favorites! Because the t-shirt already has a high neck, I don’t recommend wearing a choker, like the woman in the video does; instead, choose something a little longer, like this gold beaded necklace from Ann Taylor. As for shoes, I stuck to a pair of white high-top Converse sneakers, like the ones seen on the woman in the video, which, in addition to looking classically cool, have the added benefit of making a long dress more daytime-appropriate. If it’s sunny out, take inspiration from the woman in the video once more and put on a pair of pale pink cat-eye sunglasses to add a fun, yet classy, touch to your look. The final look inspired by “Love” is a mash-up of various elements that appear in the video. First, put on a lace bell-sleeve top that is reminiscent of Lana’s dress. 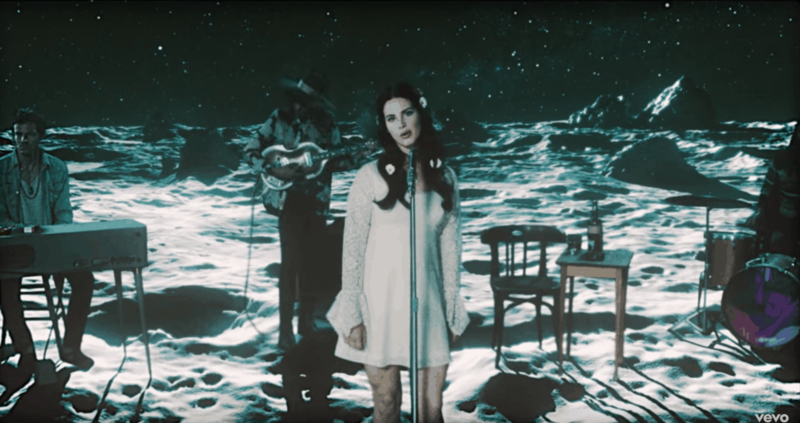 Then, add some star-patterned jeans: These ones have a lived-in, vintage-inspired feel that goes perfectly with the video’s overall vibe, not to mention the connection between the stars and the video’s outer space theme. Next, slip on a pair of daisy-printed sneakers, which I chose because I still can’t resist the flowers that Lana wears in her hair! I have decided to pair the outfit with some pretty, delicate jewelry: this layered necklace — with its moon charms and pearl beads that almost resemble tiny stars — once again reflect the space theme, while these “love” script earrings add a cute finishing touch. Now that you’ve watched the video and seen the looks inspired by it, hopefully you’ll be ready to get all dressed up — whether you’re going to work, to the coffee shop, or nowhere in particular! What music video should I cover next? Are you inspired by Lana’s new aesthetic? Which is your favorite look from this post? And, most importantly, are your hands steady enough to attempt Lana’s eyeliner look from the video? Let me know in the comments!